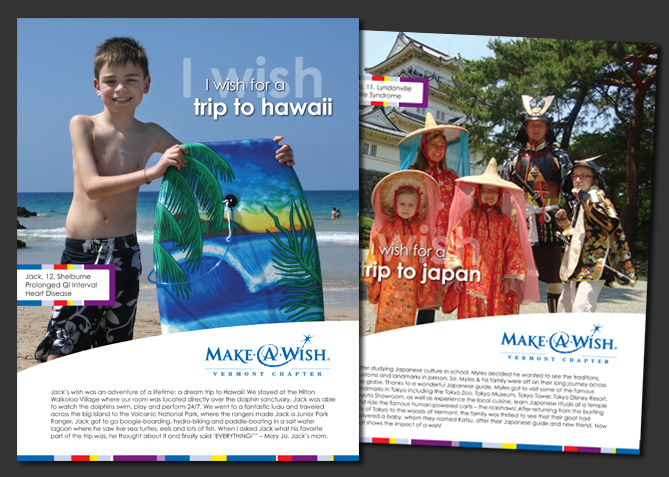 This is a project we take personal pride in. 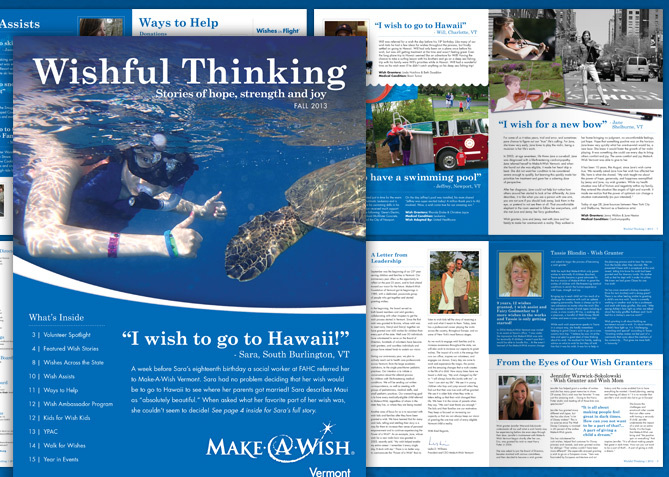 We took the chapter's marketing and branding to the next level with a unified look and feel across all of its communication channels. 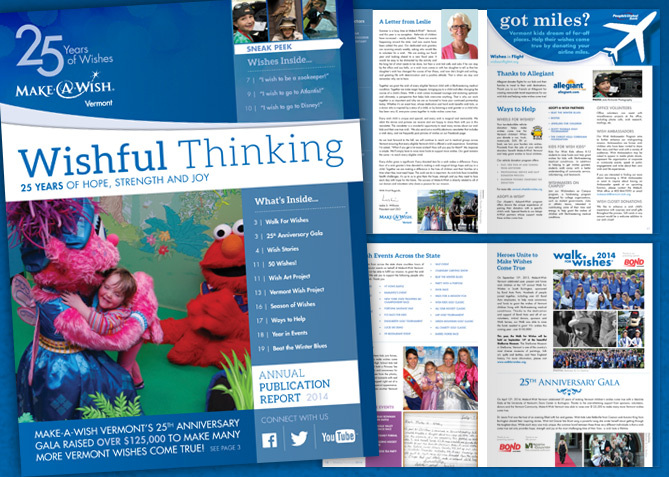 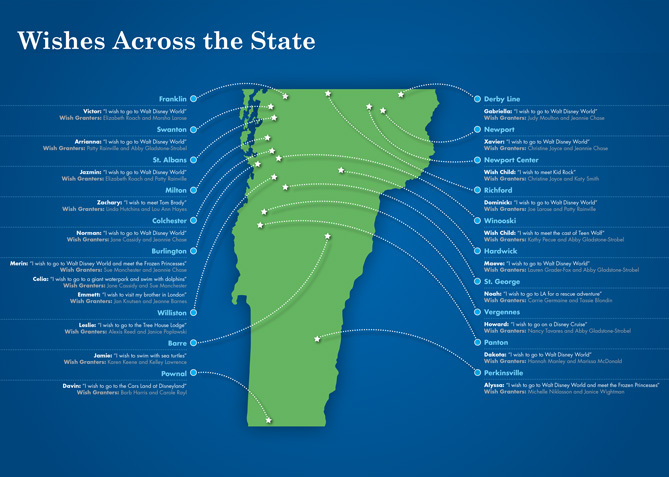 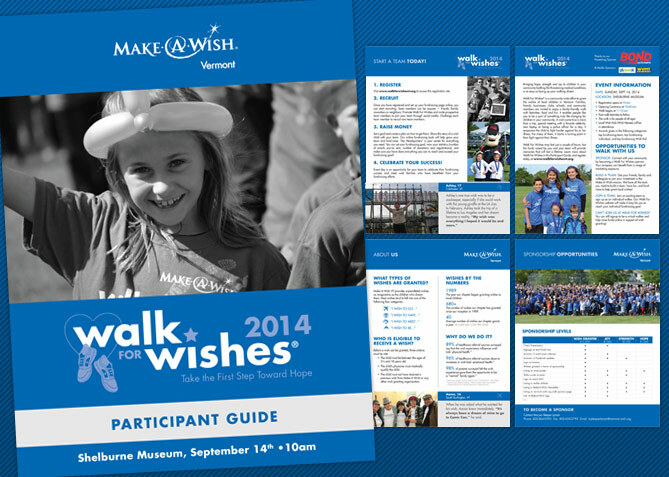 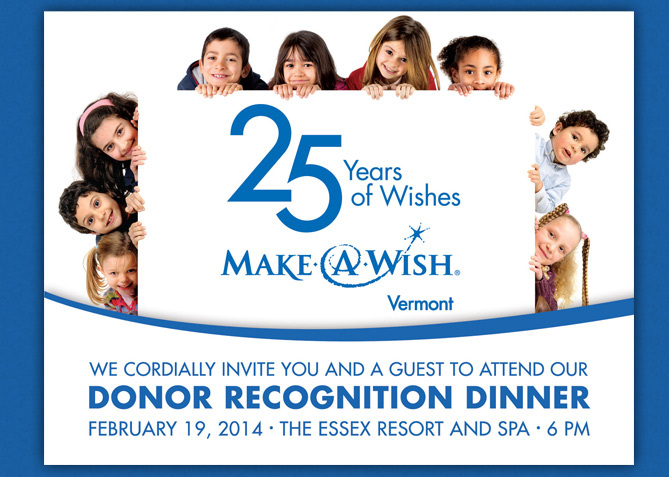 Over the past 25 years the Vermont chapter of the Make-A-Wish Foundation has granted over 700 wishes to Vermont children with life threatening conditions. 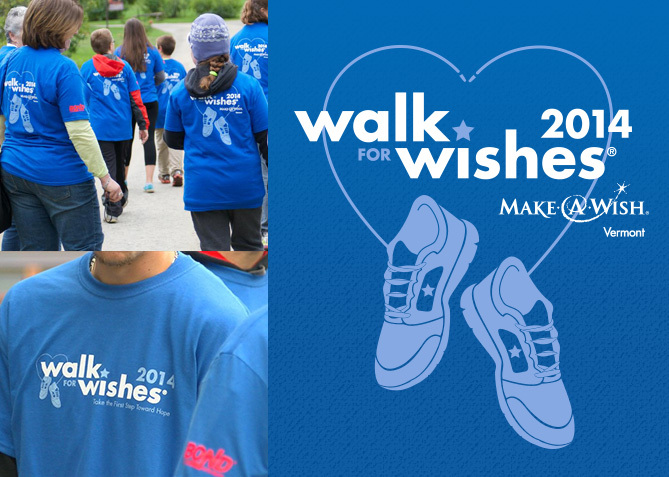 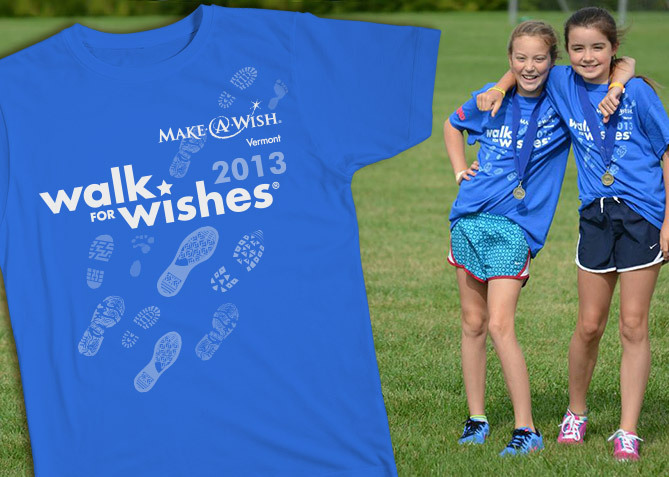 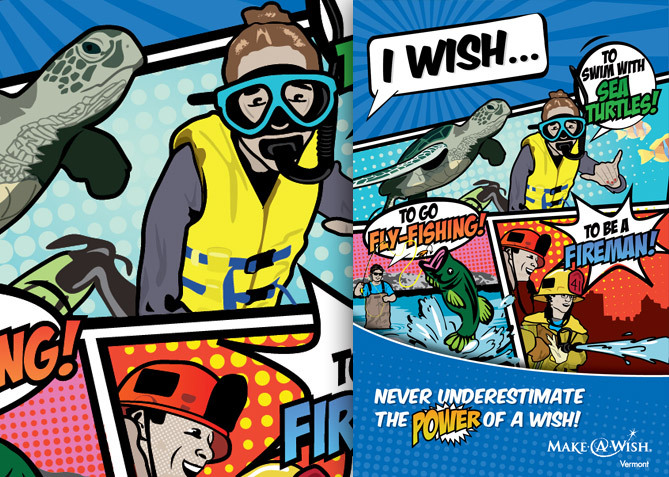 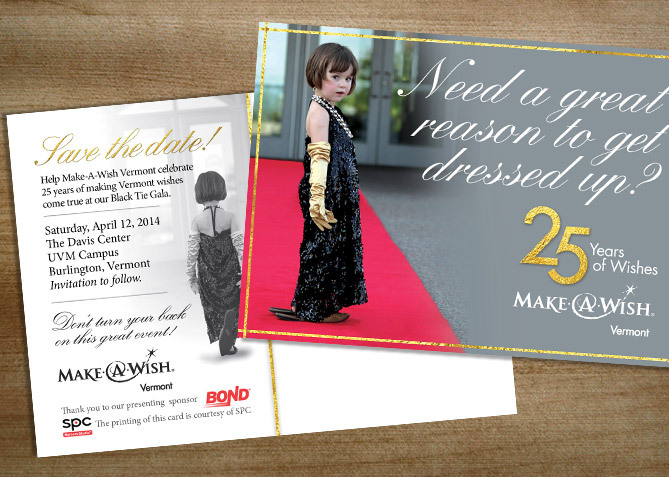 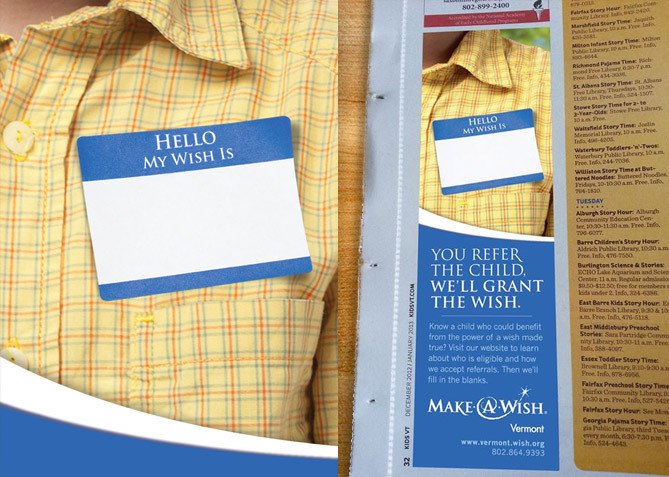 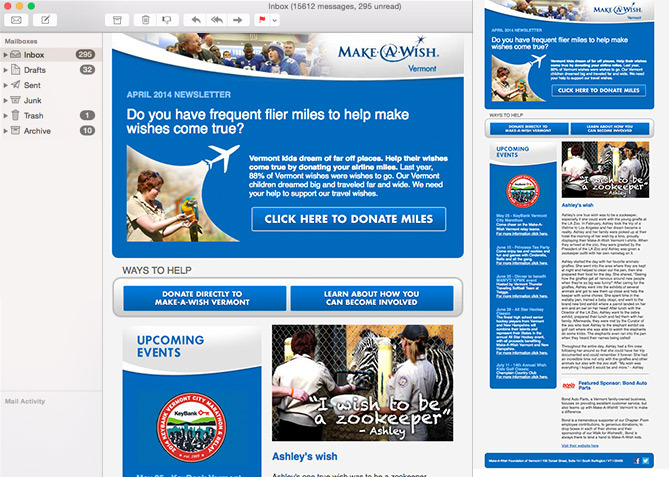 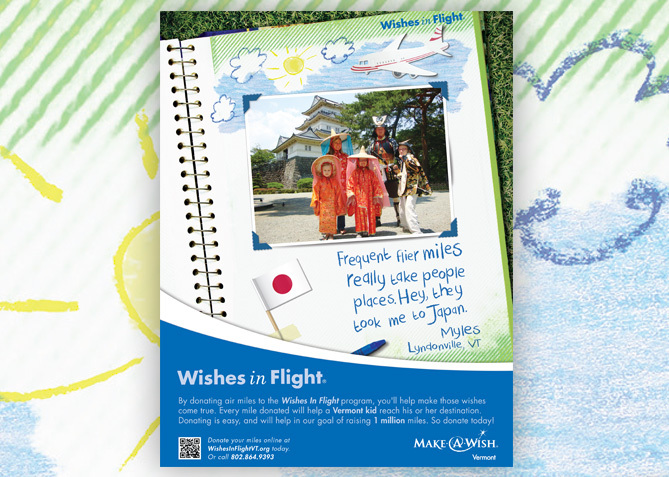 When the Make-A-Wish staff came to us asking for help with their branding and creative we were honored to accept. 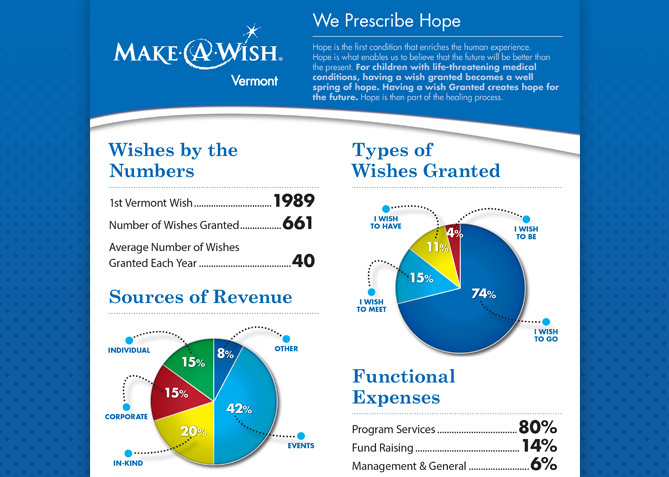 Since 2013 we’ve played an integral role in reestablishing the organization’s branding and creative direction and are proud to have played a part in the success of such a profound organization.